Chevron Corp is selling its three Bangladesh gas fields, worth an estimated $2 billion, to a Chinese consortium as the U.S. oil and gas group looks to shed non-core assets this year. State electricity company PT PLN has revived Indonesia’s long held ambition to operate nuclear power plants after it officially floated the idea for the first time in its new business plan, which will guide the company’s operation until 2026. Shareholders of state-controlled Telekomunikasi Indonesia, or Telkom, approved a final dividend payout of Rp 13.5 trillion ($1 billion), or Rp 136.74 per share. World Bank Group president Jim Yong Kim and Asian Infrastructure Investment Bank (AIIB) president Jin Liqun signed a memorandum of understanding (MoU) on Sunday to strengthen cooperation and knowledge sharing between the institutions. Publicly-listed Charoen Pokphand Indonesia has announced a plan to acquire the local operator of 7-Eleven convenience stores, Modern Sevel Indonesia, for Rp 1 trillion ($75 million). Indonesia-based Kebab Turki Baba Rafi (KTBR), that claims to be the world’s largest kebab chain, is in talks with potential investors to sell a large stake, three people close to the development told DEALSTREETASIA. Indonesia construction companies, like their global peers, are beginning to adapt to new challenges brought on by climate change and to innovate how they conduct business. Asian shares rose on Tuesday morning (25/04), following the strong performance of Wall Street overnight, supported by easing concerns about the stability of the European Union (EU) after French presidential candidate Emmanuel Macron is seen as the clear favorite in the presidential runoff. Macron, a pro-EU centrist, will face Marine Le Pen, an anti-EU nationalist, in the runoff. The government is set to start its “air bridge” program this year to improve the flow of goods and reduce price disparities in Papua, the country’s easternmost province. Manuel V. Pangilinan-led Metro Pacific Investments Corp. said talks for its tollroad subsidiary to invest in expressways in Malaysia and Indonesia fell through. The heavy loss of incumbent Jakarta Governor Basuki “Ahok” Tjahaja Purnama to former education minister Anies Baswedan signals rising intolerance and demonstrates the influence of hard-line Muslim groups in Indonesia, spelling trouble for President Joko “Jokowi” Widodo and moderate Indonesians of all persuasions. Research and Markets has announced the addition of the “Digital and Computed Radiography in Thailand, Indonesia, and Malaysia, Forecast to 2021” report to their offering. A recent Supreme Court ruling, setting aside an appellate tribunal order permitting Tata Power and Adani PowerBSE 1.83 % to raise electricity tariffs in tandem with increased input costs, will hit viability of all imported coal-based power generators, say experts. 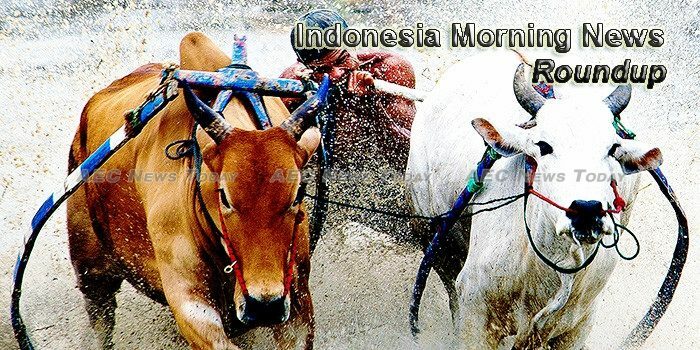 Ahead of Monday’s holiday for Isra Mikraj, the Indonesia stock market had moved higher in two of three trading days since the end of the two-day losing streak in which it had surrendered more than 55 points or 1 percent. The Jakarta Composite Index now rests just beneath the 5,665-point plateau, and the market is called higher again on Tuesday. Indonesia is inching closer to realizing its dream of making Tanjung Priok Port a major international transshipment hub and taking a slice of Singapore’s business pie. Social Affairs Minister Khofifah Indar Parawansa has set a target to complete the non-cash social aid distribution of the Family Hope Program, or PKH, next month.